We have had amazing weather here in New York so I have not had a full day to devote to a rainy day project until today! 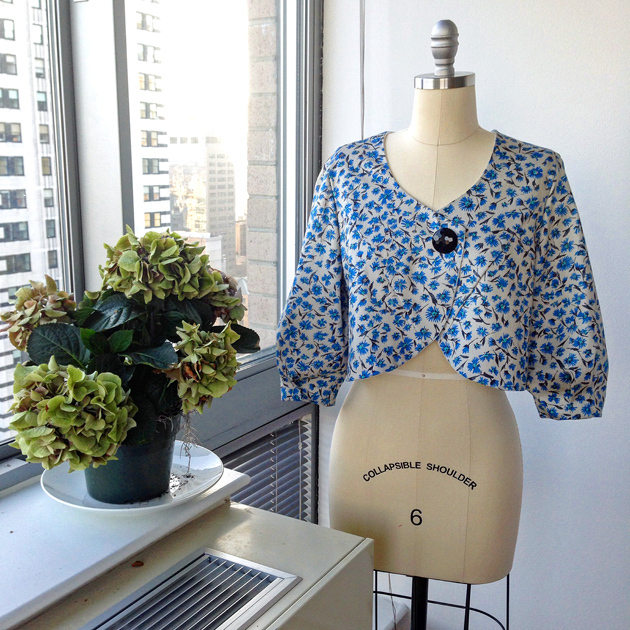 I have been wanting to make a cropped jacket to wear with high waisted pants (80’s style) and found the most elegant Italian cotton/lycra floral print at Mood Fabrics yesterday so today’s the day! 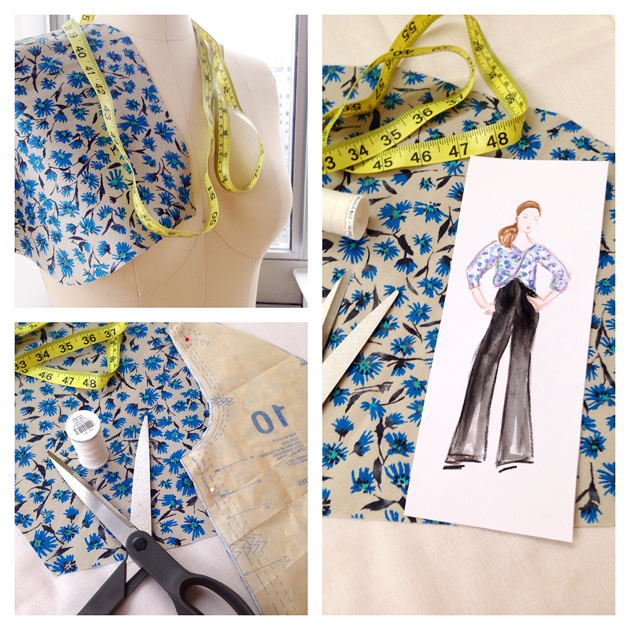 I’m using Vogue patterns V8717…quick and easy, that’s my style! I added a vintage button for some glam and gave the sleeves some extra pleats to exaggerate their boxiness…….I’ll wear it with high waisted black linen pants and strappy black stilettos – a great addition to my summertime work wardrobe!